The Nissan Path :: View topic - Sound off for the Rocky Mountain Region! Sound off for the Rocky Mountain Region! Posted: Wed Nov 04, 2009 8:17 pm Post subject: Sound off for the Rocky Mountain Region! I'm here in Colorado with my 2007 PF SE. Our PF see's some off roading, but our primary reason for purchase was a mid-sized SUV that seats 7 passengers, and can tow our travel trailer (up to 6,000lbs of course). How many other folks are here in Colorado, or the RM region? How do you all use your PF's? my path is amazing sounds great with the work i put in it. Hey I live in the Salt Lake area. 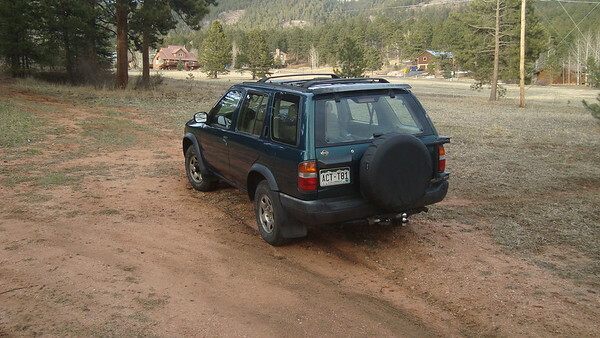 I used to take my 97 SE up the mountians to go shooting and have fun on trails, until gas became to exspencive. Im limited to urban rock crawling now. I accidently ended up in the exit of a drive threw goin the wrong way. I had to climb the wall to get the hell out of the way lol. Im the only one i know with a vehicle with a tow hitch out of my friends so i pull trailers helpin people move alot as well. I know this is an old thread, but thought a good revival would be nice. I'm stationed at Mountain Home AFB, in Idaho. Graduated Utah State University. I've only had the pathfinder for about 3 months. Needed something for the wife and boy. It will be the new family rig, but with that in mind, I plan to take it off road and see how it handles compared to my 99 Jeep. Too bad there are only 4 people that registerd in this area, but maybe one of these day's we can do some kind of meet. You never know. Im from Nebraska, but head to Denver quite a bit during the year. Any CO peeps in here? I know there is an active member there in SLC, his name on here is NVSteve. He has an 07 SE-OR. He was Pathfinder of the Month for Jan 2012. Take a look. new to the sight and pathfinders, been in the region for a couple years. Living in Layton, UT. Got an 05 SE-OR 4x4 with ~100k on the clock. It's the wifes vehicle, it's been "loved" (or so she says) a good bit. Slowly getting back into the condition it deserves. Nice. I actually graduated from Utah State University, Aggies, and am currently stationed in the Air Force at Mt. Home AFB, Idaho. I'm actually on my way back to Logan this weekend for inlaws birthday. Come spring/summer we should try and meet in the middle and do some kind of trail ride or something. Although I'm in San Diego, we travel to CO once in a while to visit college buddies. Would love to do some off-roading with you guys. Keep us posted. 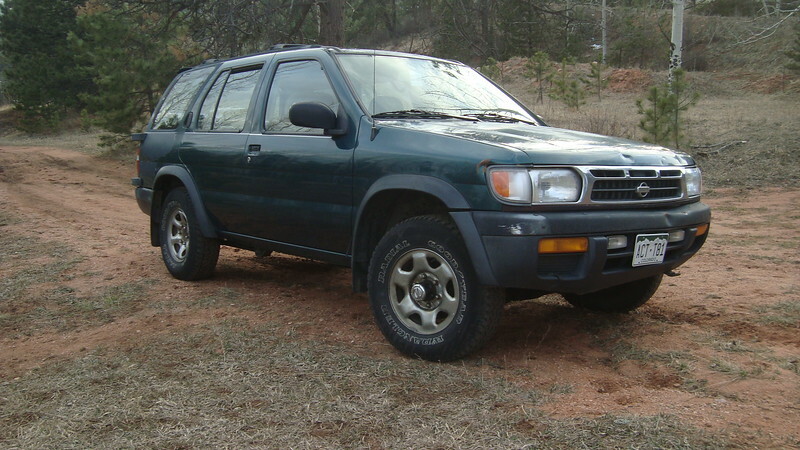 I'm in Colorado Springs and just bought a 1997 PF for $1500. It had a seized fan clutch and torn CV boots so I spent most of my spring break in the driveway replacing things. So far i've replaced Fan clutch, fuel filter, both CV axles and added MileMarker manual hubs. While doing the fan clutch I discovered the intake elbow right by the plenum was crumbling and had been taped with duct tape and electrical tape so I ordered a new elbow. Until it arrives I made one out of 3" flexible HVAC pipe and 3M foil tape. After the second fuel fillup , on the second day of ownership, I recorded 13.3 miles per gallon. After these fixes I am getting 21.4. I'm still going over things and will be for a while. 225,000 miles on it and put away wet for a while. I was pleasantly surprised to find a limited slip differential out back. This will be a good vehicle for a long time to come.